Want to brighten up your day? Put this adorable frame in your home or office. 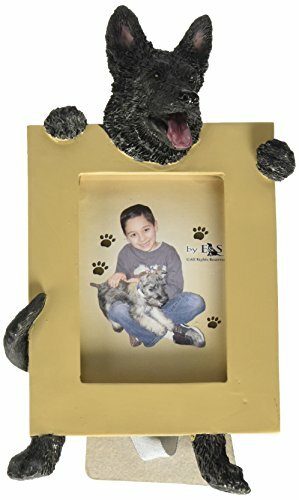 Depicts your favorite dog holding onto to your picture. It's sure to bring a smile to your face every time you look at it. Holds a 2.5 by 3.5 photo. If you have any questions about this product by E&S Pets, contact us by completing and submitting the form below. If you are looking for a specif part number, please include it with your message.